I already described in this post what the reputation of Rifle is. "Lots of ego among the climbers. Honestly, some of it lived up to it's reputation but most of it didn't. The climbers we met were so friendly, coming looking for me after I'd left my shoes accidentally at the bottom of a route, throwing out advice, sharing information, warning us to move our car when they were bolting. Even the super-heroes were inspiring with a certain Dave Graham admirably going to warn some locals who were climbing with some kids that they were in a dangerous location for rock-fall and that they should move to a better location (unfortunately, said adults followed their own ego first and refused to move much to everyone's horror as they used the top-rope to knock rocks off.....). And yes, the grades feel hard. 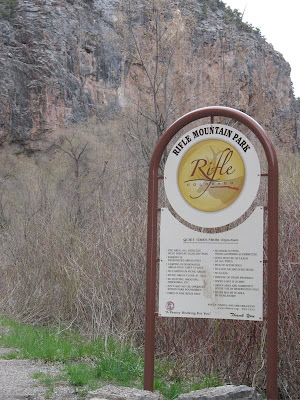 Like most of the top-class crags in the world, Rifle does everything in it's power to show you your weaknesses. I learnt that while I'm relatively strong considering I haven't bouldered/trained in months, I'm still lacking in lots of power on routes. 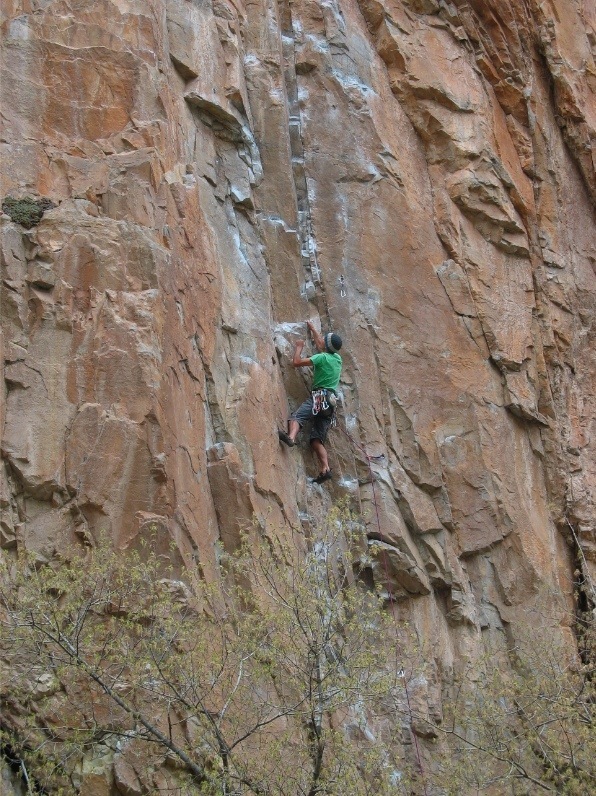 Anyone who has been to Ceuse or Siurana will know that for both, you'll find that if you haven't put in the effort, you won't get the payback on the routes you try. Rifle is no exception. But there was amazing positives. As a post on Joe Kinder's blog said recently, experience on different rock does wonders for your climbing as it increases your range of techniques to use while climbing. I've been lucky in that sense as much to my surprise, after realizing only a few weeks ago that I've climbed in 15 countries, that experience counts for a lot. I was still onsighting 5.12's in Rifle and it only came down to my experience. 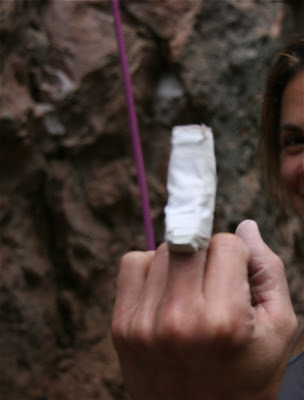 I'm not overly fit or super-hero strong right now but I managed to climb some routes in a style I never expected. I tried what for me is hard, a 5.13a (7c+) onsight one-day. I got 6 bolts up it before a silly mistake led to take the plummet off the route. But from there, there was only one other move that confused me enough to fall off. My experience of climbing on so many styles meant that I saw knee-bars, squeezes, presses without even thinking about it. 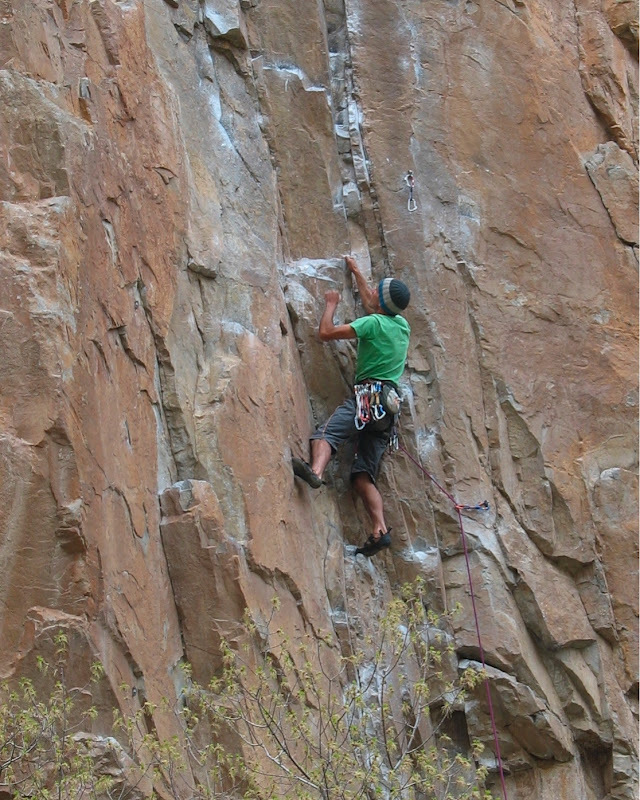 For anyone climbing, make it a goal to climb as many different styles and locations as possible. It'll increase your range of movements exponentially. For those of you who are having to be indoor climbers regularly, stop climbing your own problems and start trying your friend's. You know those ones that your friend does first-go but you can't even pull onto? Yep, they're the problems you should be trying more often. If you can't do it easily, it means that you can only learn something by trying them. For those of you who are setting problems for yourself, I always had a benchmark that if I could do the climb in less than 10 goes, it was too easy. Make it a goal to set problems that challenge you, you're always getting better then and won't get stale. 2) Onsighting the tricky 'Feline' 6c/5.11b/c - a great route for finding out what your onsighting experience level is like. Tricky from the 4th bolt all the way to the chains!